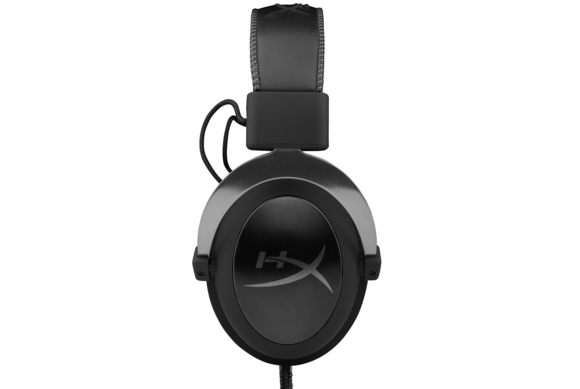 In 2014 we deemed the HyperX Cloud the best budget headset available. The Cloud II is Kingston's new "ain't-broke-don't-fix-it" upgrade. Last year I called the HyperX Cloud “one of the best sub-$100 gaming headsets I’ve ever used.” Apparently not content with that, Kingston went ahead and released the HyperX Cloud II this year—a little pricier, a little more refined. “Little” being the operative word here. Not much changed between the HyperX Cloud and its successor, but the two do differ in some key ways. Namely, the addition of a built-in USB soundcard. 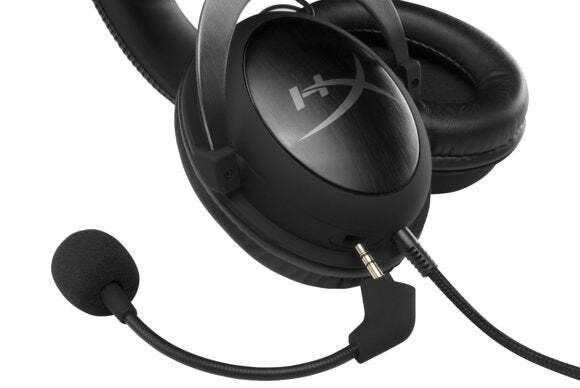 In terms of the headset itself, the HyperX Cloud II is (as far as I can tell) identical to its predecessor. The colors have changed a bit, but it’s otherwise the same premium-feeling metal-and-“leather” I loved from the first iteration. In my original HyperX Cloud review I said, “The solid metal construction gives this headset both a nice heft and a durability that’s unmatched in the sub-$100 range,” and I stand by that statement. And it’s just as comfortable as before. The designation for this headset might’ve come from Kingston’s partnership with the Cloud9 esports team, but “Cloud” is equally appropriate for the feel of the device itself. It’s so cushy. Unfortunately sticking to what worked last time means the Cloud II carries over some of the same sins as its predecessor. You can’t rotate the earcups, which is a pain if like me you have a habit of pulling your headset down around your neck. Also, the headset is fairly small—I had to extend the ears most of the way before it’d sit on my head. Same pros as before. Same cons. Easy. The main difference between the HyperX Cloud and Cloud II is the sound, thanks to the Cloud II’s inclusion of a 7.1-ready USB soundcard. The original Cloud, by contrast, terminated in a 3.5mm jack, with no way to adjust the headset’s sound. To be honest, it didn’t really matter. Part of why I was so enthralled with the original HyperX Cloud was because it had amazing sound quality right out of the box. In my previous review I actually said “Kingston makes no attempt at a ‘surround’ experience, but the sound profile of the HyperX Cloud is better than that on a lot of the headsets touting the feature anyway,” which makes the inclusion of 7.1 support in the Cloud II kind of funny. And out of the box, the HyperX Cloud II has the same great sound. You can still plug the Cloud II into a 3.5mm jack provided you leave the USB soundcard attachment off, though you’ll lose inline controls that way. The inline controls are actually where Kingston’s improved most on the original Cloud. 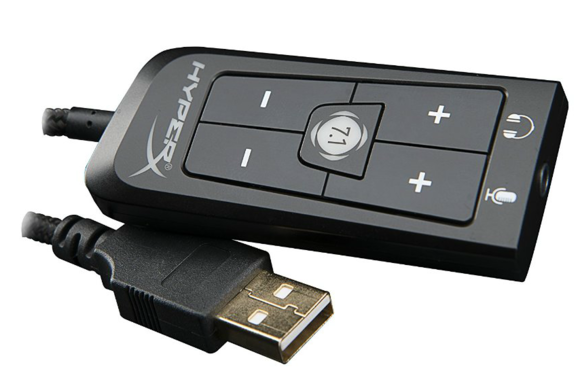 The USB soundcard features big rockers for both headset and mic volume, as well as a 7.1 toggle and mic mute. I wish the buttons clicked more distinctively, and the mic mute can be a bit hard to slide back and forth, but it’s a huge upgrade compared to last year’s tiny volume wheel and the mute button that made a loud “PING” noise when you tapped it. Here’s what the new USB soundcard (with in-line controls) looks like. As for how much the soundcard improves the sound quality? Again, “a little” seems most appropriate. 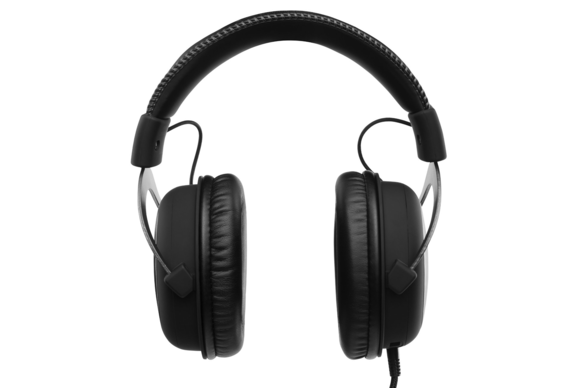 While it’s great you don’t need software installed to use the soundcard, that also means you’re unable to tweak the sound profile to your heart’s content like you can with other USB headsets. The result is that using the HyperX Cloud II’s soundcard is more like a lateral move than a real improvement. 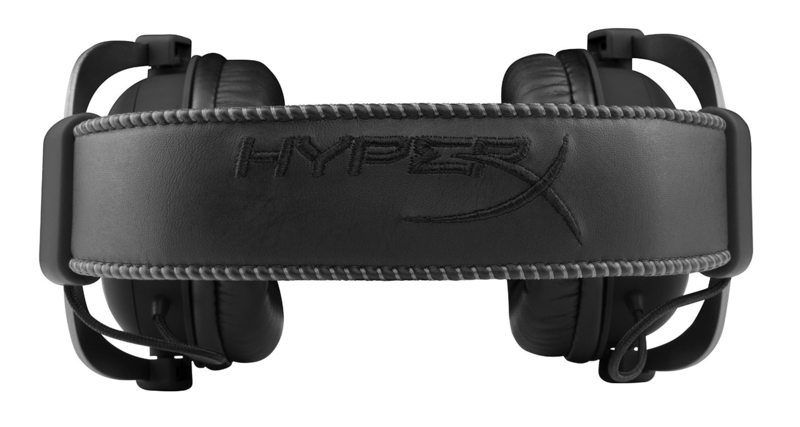 Both the bass and the lower end of the mids have been boosted a bit from the original HyperX Cloud, while the highs are a bit less clear. Testing with music, especially, I noticed cymbal crashes getting lost in the mix—a clear sign that the highs are being scraped off the top. As I said, it’s not necessarily worse than the original HyperX Cloud’s sound. I just don’t know that I’d call it better either. It’s a more games-oriented profile, whereas the original Cloud had a more rounded, jack-of-all-trades sound. The 7.1 is, like most headsets, disappointing. I feel like I say this in every review of a 7.1 headset (probably because I do), but no headset is going to achieve proper surround sound. At best, you’re getting an awkward simulation of it. Worse, the 7.1 introduces some static to the audio that’s unnoticeable in loud situations but—to me at least—somewhat distracting in quiet, reflective moments. I honestly think the original HyperX Cloud with its stereo drivers did a perfectly fine job of simulating the sort of depth and positional tracking you’d want from a surround headset—without being a surround headset. The 7.1 here is a marginal improvement, in games that support it. It’s not why you’d buy the Cloud II though. 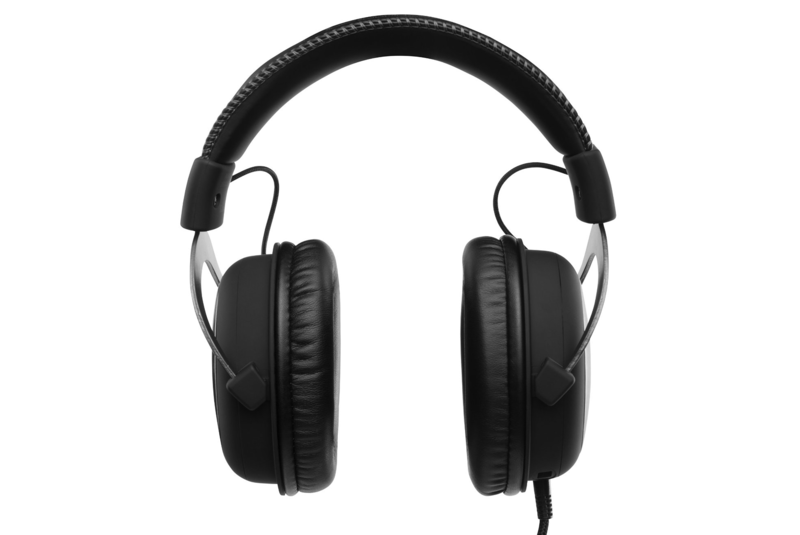 What should make you buy the Cloud II is the fact that the soundcard also improves the microphone. The Cloud II uses the same weird detachable microphone as the original Cloud (complete with that stupid rubber piece over the jack that you’ll inevitably lose as soon as you remove it). Last year I complained that the Cloud’s microphone was a piece of junk, thanks to a ton of problems with plosives and noise pickup. The Cloud II’s microphone isn’t perfect, but it’s complemented by noise and echo cancellation built into the soundcard. Comparing mic recordings I made last year with some from the Cloud II, the difference is immediately apparent. The Cloud II microphone sounds like an entirely different (better) piece of hardware. 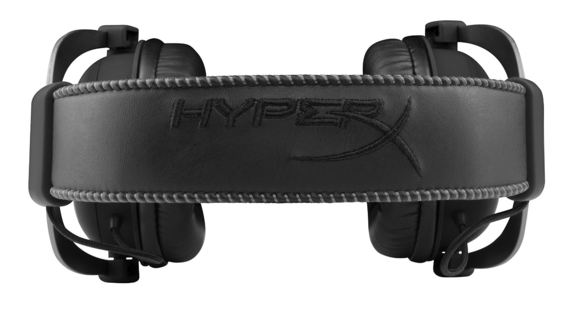 Should you buy the HyperX Cloud II instead of the Cloud? I don’t know, to be honest. This is a pretty marginal improvement over last year—and at a slightly higher price. They’re both fantastic budget headsets though, so it’s really down to personal preference. Do an improved microphone and inline controls justify the higher cost for you? Either way, I feel comfortable recommending the HyperX Cloud series as the best sub-$100 headset you can buy, with audio that easily compares to some higher-priced offerings by SteelSeries and Astro.